Peta has a BA degree in Sociology from the University of Essex and a Master of Science in Social Administration and Social Work Studies from the London School of Economics and Political Science. Peta worked in the field of psychiatric social work in the United Kingdom for many years, working with adults suffering from a wide range of mental health problems. After her return to South Africa in 1996 she moved into the development sector and took a position at Community Development Resource Association (CDRA), an NGO working in the field of organisational development and training. She left CDRA to set up her own consultancy practice bringing together her therapeutic/social work skills and experience in leadership and management to work with NGOs in building their core leadership and management. She worked with a number of organisations in Southern Africa. 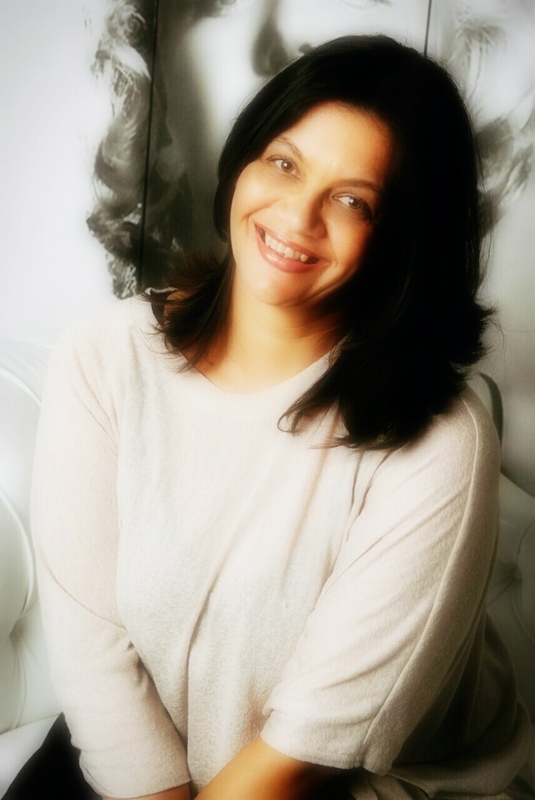 Peta joined SEA in March 2008 as the Managing Director. She provides overall management and leadership to the organisation. 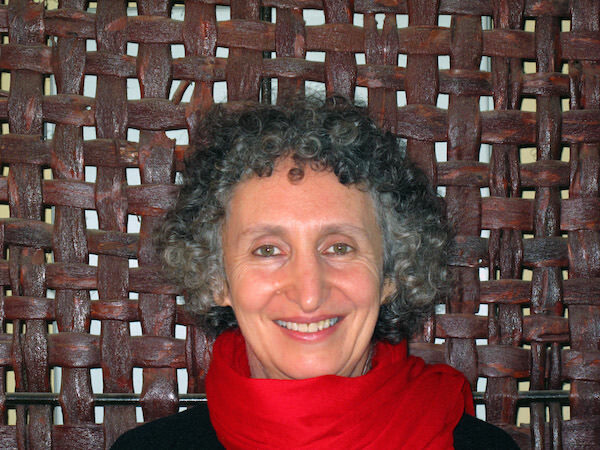 She has worked on a range of projects including energy and climate change strategy development, energy poverty, low carbon development, vertical integration between local and national government, driven a stakeholder engagement process for the National Planning Commission and capacity building within Sub-Saharan Africa. She has facilitated workshops, engaged in capacity building and training at the city level and given presentations on sustainable energy, energy poverty and climate change. She has written papers on energy poverty in South Africa and contributed to SEA publications such as the State of Energy in South African Cities. Megan has a BA degree in Economics, English and History, with a postgraduate degree in African History from the University of Cape Town. Her work experience includes participatory research, policy development and development practice work in the land reform and rural development sector; freelance journalism and education materials development; and training, capacity building and project management in sustainable city energy planning and implementation. 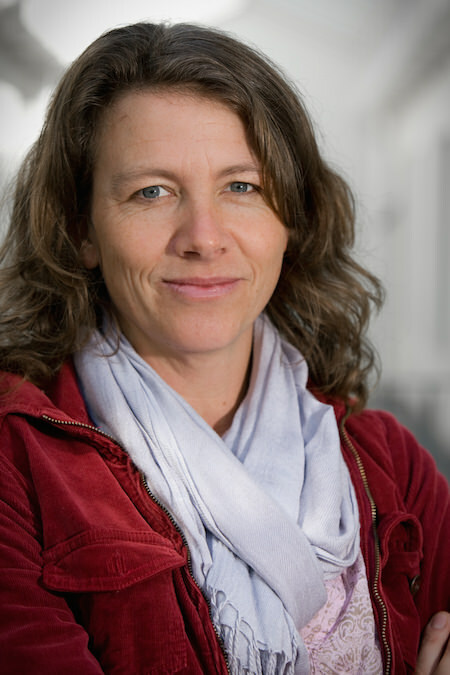 Megan joined Sustainable Energy Africa in 2004. 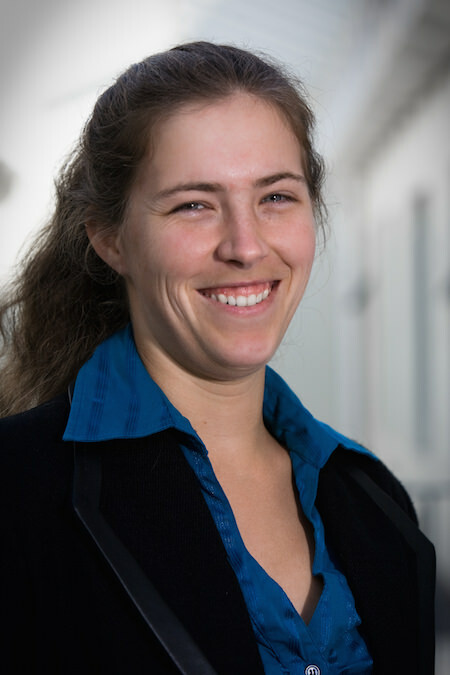 Megan Euston-Brown has worked in the area of sustainable energy development since 2003 and currently manages the City Energy Support Unit, a programme of Sustainable Energy Africa. The unit offers support to South African cities in their move towards clean energy development and reduced carbon footprints. This involves technical and process information in the areas of policy, and implementation, of energy efficiency, renewable energy deployment and energy poverty alleviation. A substantial focus of the work is on building the capacity of people to tackle these new and complex challenges. Megan has also worked within the region of Africa broadly, providing similar city GHG emissions inventory development and sustainable energy transition support. Megan is an experienced development facilitator and trainer and has worked extensively with local level energy data collection and institutional development. Adrian Stone has worked in both the measuring of energy and financial data and its application in models for over 20 years. He started in the energy field as a test systems designer, test engineer and then project manager for both commercial and university-based groups supplying the automotive, transport and liquid fuels industries. 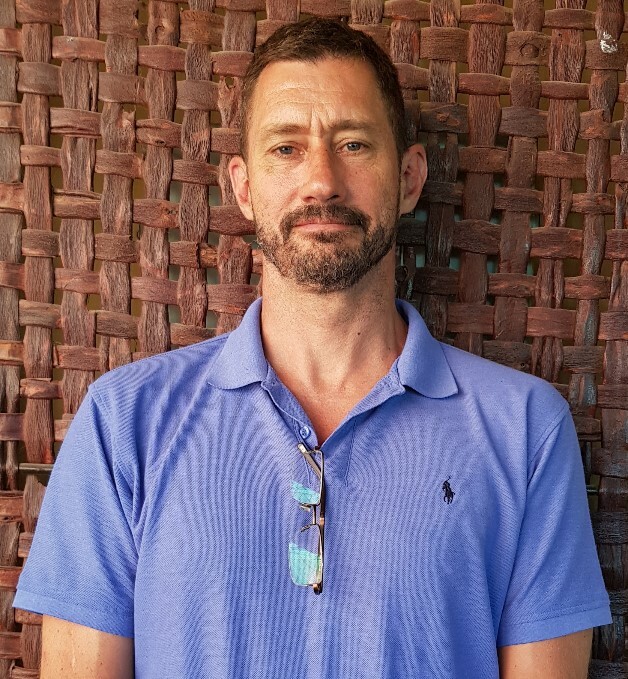 Later he worked as a system developer in the financial services industry tackling projects across a broad scope including portfolio reporting and management tools, stochastic portfolio return tools for financial planning systems and database development and maintenance. In 2011 he returned to the world of energy at UCT’s Energy Research Centre (ERC) where in addition to undertaking energy research and modelling projects, he taught modelling, energy systems analysis and financial analysis in the ERC’s post-graduate program and served as the energy modelling research group leader for 2 years. In 2016 he moved to SEA and continues to work on energy and climate projects locally, nationally and in the sub-Saharan African region. Yachika has an MSc in Energy Studies from the University of Cape Town. She joined Sustainable Energy Africa in 2005. Her experience includes project management, training, facilitation, research and data analysis through working in wide-ranging and complex energy and climate change projects involving all three spheres of government (local, provincial and national). Working with the three spheres of government for more than a decade, she has a very good understanding of government’s priorities for development within these spheres. She has in-depth experience in local-level climate and energy data collation, analysis and strategy/policy development. Zanie has BSc degree majoring in Environmental and Geographical Science, Ocean and Atmosphere Science, and Archaeology from the University of Cape Town, with a BSc (Hons) degree in Atmosphere Science. She started working at Sustainable Energy Africa in 2008, after an internship in the City of Cape Town's Environmental Management Resource department. 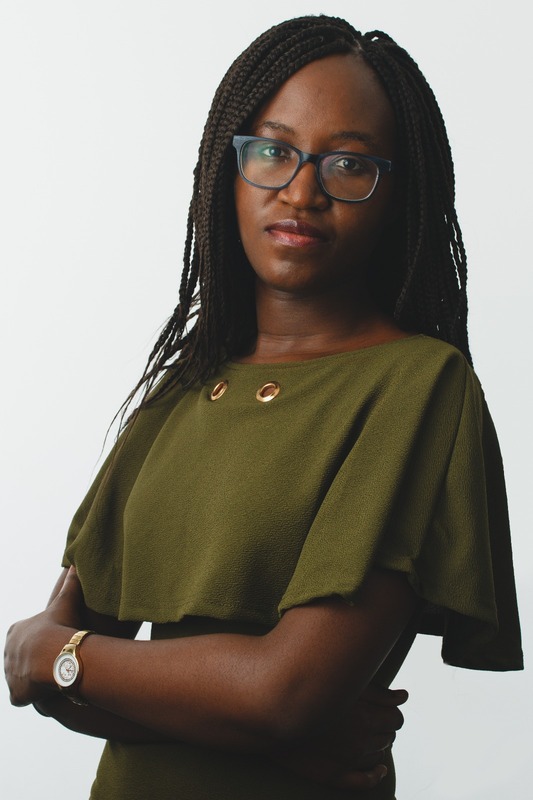 Zanie's main focus areas include data collation and analysis, writing, greenhouse gas inventories and state of energy reports, and energy modelling, using programmes such as EnergyPlus and LEAP (Long-range Energy Alternatives Planning). She has developed LEAP energy models at the individual metro level (such as Cape Town and eThekwini) as well as at the regional level (including a model encompassing the 27 municipalities in South Africa with the highest urbanisation level). Modelling outputs at the local level are used to advise the metros in their planning towards a sustainable energy future, while regional models highlight the emissions reduction contribution of urbanised areas in relation to the country. Zanie has provided technical support to various Africa cities (Accra, Lagos, Addis Ababa, Tshwane, etc.) in collecting data on greenhouse gas emissions and reporting these emissions according to the Global Protocol for Community-Scale Greenhouse Gas Emissions (GPC). She received certification as an Urban Greenhouse Gas Inventory Specialist as part of the World Bank's City Climate Planner Certification Programme. 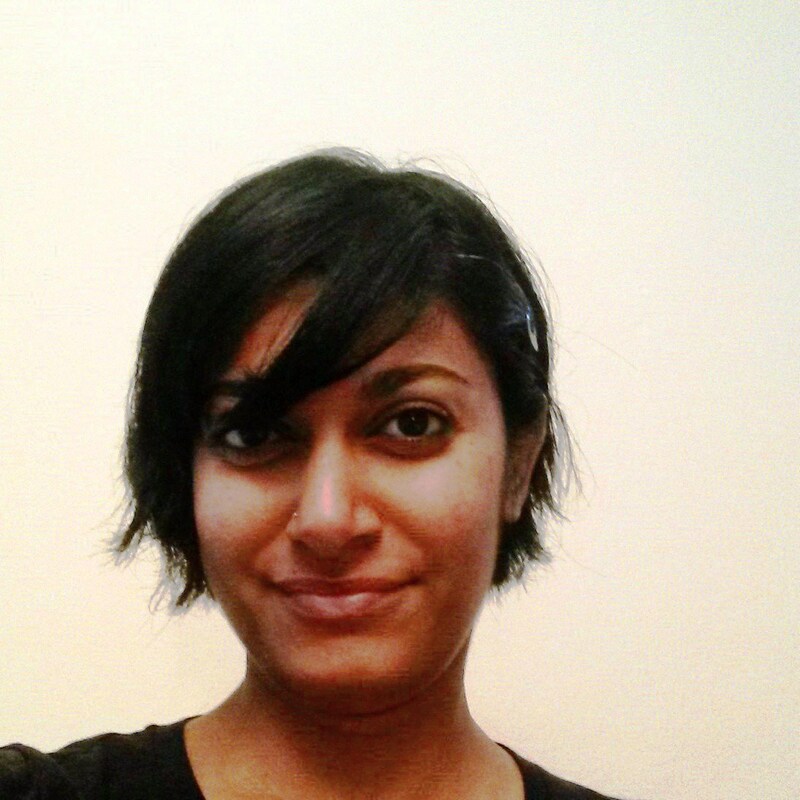 Simisha Pather-Elias joined SEA in March 2013 as a senior project coordinator. University following employment as a Scientific Officer at UCT in the Bioprocess Engineering Research Unit. There whilst working on several projects relating to environmental sustainability, her interest in energy and sustainable development was stimulated. In 2009 she pursued her second Master's degree in Energy and Development at the Energy Research Centre at UCT which she completed in 2011. Her research focused on a feasibility study for energy efficiency and renewable energy in the commercial sector. After brief flirtations at Conservation South Africa, and the Botanical Society of South Africa, Simisha finally found her true home at SEA. 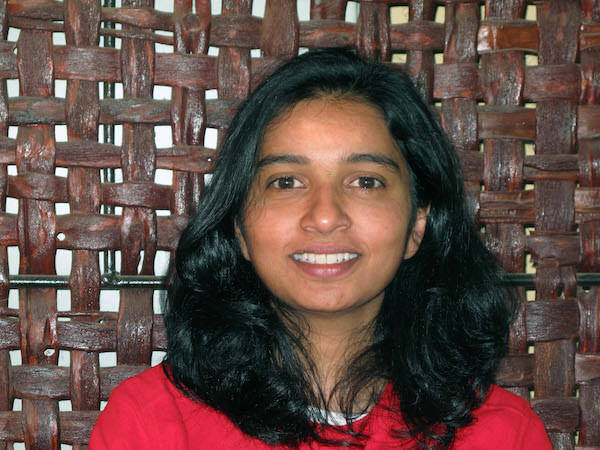 Simisha constantly aims to balance her analytical and creative skills by being involved in several projects ranging from energy and low-carbon modeling, policy and strategy development, and energy poverty in South Africa and Sub-Saharan Africa. She really enjoys working with bright and enthusiastic young minds and holds the graduate placement and mentoring at SEA. As a wife and mother to two Cocker Spaniels, she is passionate about sustainable living, simplicity and tackling challenges in a holistic way. In her personal capacity, she assists in many community development and educational projects. Hlengiwe has a Bachelor of Science with Honours in Geography degree, and a Master of Science in Interdisciplinary Global Change Studies from the University of the Witwatersrand. In 2015, Hlengiwe started her career at SEA as an Intern under the WWF-SA Environmental Leaders Programme and she is now a Project Coordinator. She plays a key role in SEA's energy poverty projects in South Africa and Sub-Saharan Africa among other areas. Hlengiwe is passionate about gender and weaves her knowledge of these critical issues into all of the projects she is involved in. 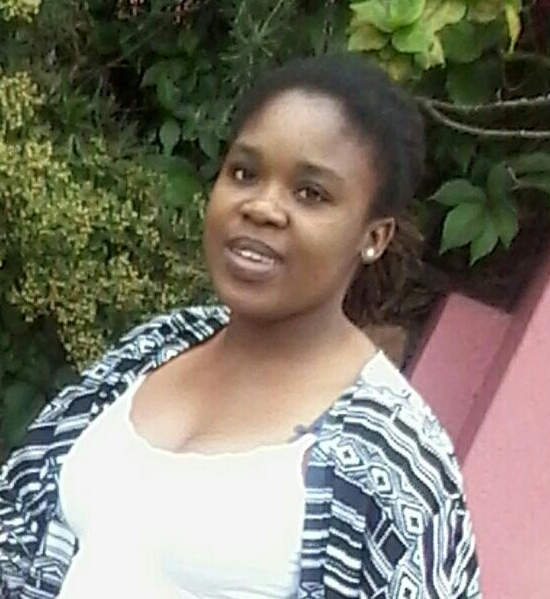 During her spare time Hlengiwe enjoys watching movies and spending time with friends and family. Peliwe has an honors degree in Ocean and Atmospheric Science and a Master’s degree from the African Climate and Development Initiative (ACDI) specialising in Climate Change and Sustainable Development. 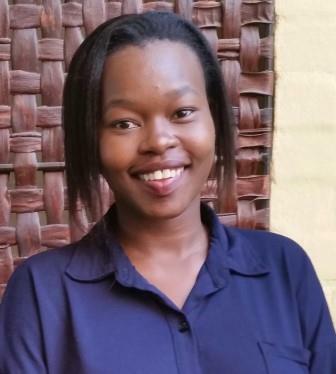 Peliwe started at SEA in 2016 in our graduate programe and is now a junior project coordinator. She has primarily been involved in SEA’s climate change and energy poverty projects as she is passionate about the implementation of socio-economic development in the face of climate change. 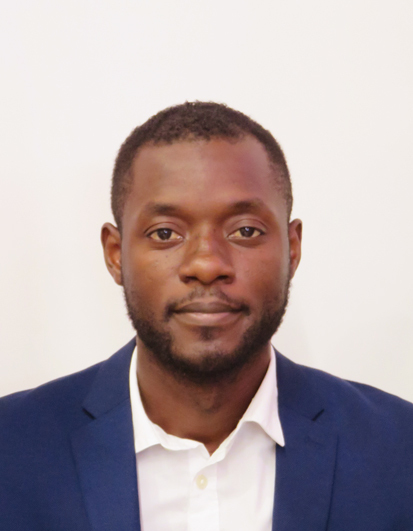 Tanaka joined Sustainable Energy Africa in 2018. She obtained a BSc and MSc in Chemical Engineering from the University of Cape Town. During her studies, Tanaka joined Engineers without Borders through which she developed a passion for using renewable energy to alleviate poverty. In order to pursue this, she enrolled in a Post-Graduate Diploma in Sustainable Development at the University of Stellenbosch where she gained better understanding of the different challenges that plague society, and some of the solutions that are currently being implemented. This experience further encouraged her to use her skills and expertise to bring positive change in society. 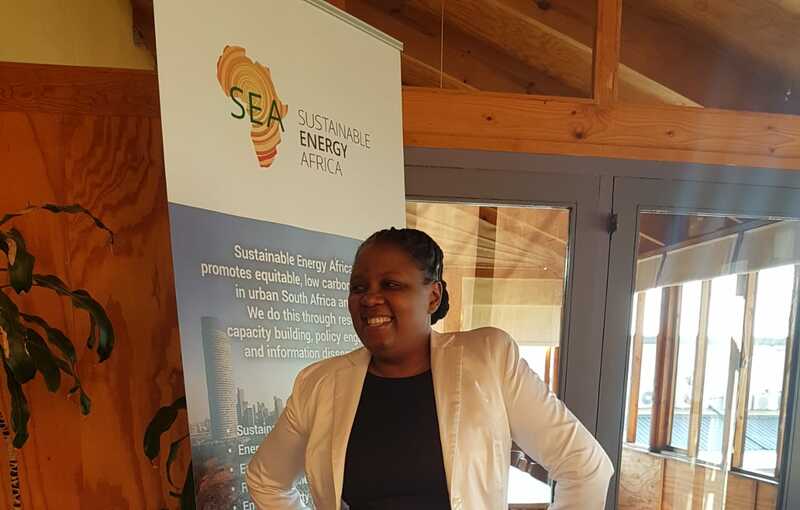 Prior to joining SEA, Tanaka worked as a junior project engineer at SustNet where she contributed towards a feasibility study for the development of a waste to energy hub in the Western Cape. This included assisting in the design and fabrication of technology and conducting commissioning and optimisation tests. Tanaka is very passionate about gender equality and has served as a mentor for SAWomEng’s GirlEng team, which focused on encouraging female high school learners to pursue careers in Science and Engineering. Joel, originally from Cameroon, has a B.Eng. degree in Electrical and Electronics Engineering. He also has a Master of Science (Research) in Physics with focus on Energy Efficiency. Passionate about saving the world, the move to SEA where he could apply his energy modeling skills was a natural fit. He is primarily involved in projects in the Sub Saharan African region among which is the Covenant of Mayors in Sub Saharan Africa. In his free time, Joel loves playing and listening to music. Grateful for an amazing group of friends, he continually stretches out to connect to new people. 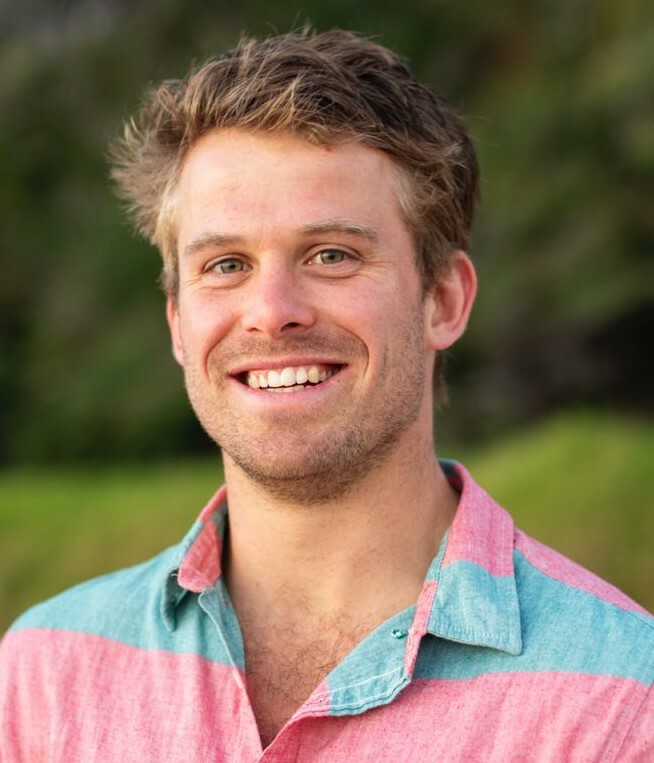 Josh has a BEng degree in Mechanical Engineering as well as an MEng degree in Engineering Management, both from Stellenbosch University. His masters thesis investigated the city-level relationship between energy consumption and economic performance. He performed case studies on Cape Town, Wellington (New Zealand) and Barcelona (Spain) in order to find the most successful energy policies. Through his research he gained a fascination of urban energy systems which he is now exploring at SEA. Gaining his energy from the outdoors, Josh spends his free time on a bicycle or a board, after which he loves a good braai! Mukta Govan joined SEA in April 2013. She holds a BTech degree in Cost and Management Accounting from Cape Peninsula University of Technology. 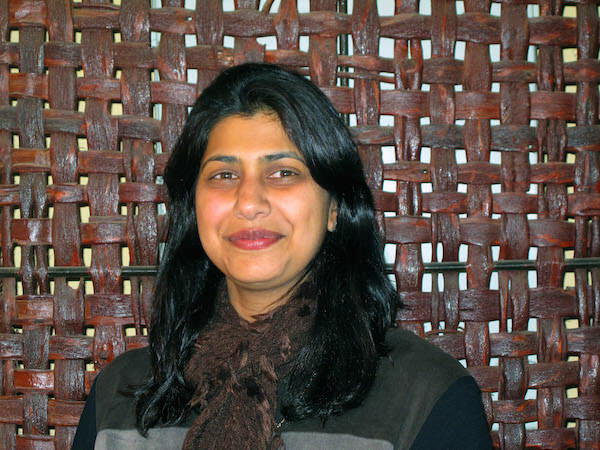 Mukta has been working in the non-profit sector for more than 10 years, with the key area of these non-profit organisations being local government. Her role is to provide financial management support to the organisation which is achieved through commitment, excellence, passion and attention to detail. Zukiswa obtained a diploma in Bookkeeping, Personnel and Training Management, and a Higher Certificate in Human Resource Management from Damelin School of Management. She also obtained a certificate in Office Administration from the Cape Peninsula University of Technology and completed an Introduction to Financial Accounting with Rosebank College. She is currently undertaking a B Com degree in Accounting Science for Financial Accounting through UNISA. She worked for the Western Cape Education Department for four years as an Administration Clerk. 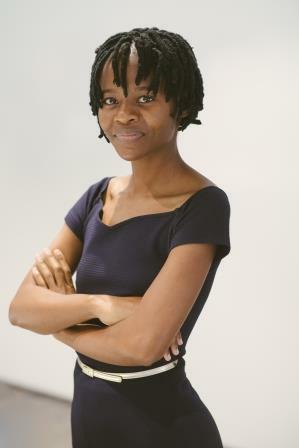 Zukiswa joined Sustainable Energy Africa in November 2006 as a Financial Assistant and a Project Administrator. She currently holds an Office Co-ordinator position. Her duties involve company legal standing, human resources, information and communication technology, finances and general office administration. Megan joined SEA in April 2018. She holds a Diploma in Conference, Exhibition and Event Management and a Certificate in Frontline and Public Relations from Damelin Management School. Megan has over 15 years of experience as administrator and front office liaison. Her previous experience includes managing admin and events at various sport institutions. Megan’s daydreams consist of sport and she spends her weekends playing lawn bowls. Megan keeps the office entertained with her stories and loves a lekker laugh at lunchtime! Leova obtained her Grade 11 in 2007. She has over two years’ experience in the restaurant hospitality industry as a Chef. Leova shares her passion for cooking at SEA, where she makes sumptuous lunches for us. She also manages the domestic chores at the office and is also responsible for kitchen supplies and reconciling invoices. Mark has a B.Sc. in Civil Engineering and a M.Sc degree in Energy and Development Studies from the University of Cape Town's Engineering faculty. After working in the civil engineering industry, in 1988 he moved to the Energy for Development Research Centre (EDRC) at the University of Cape Town before co-founding the Energy & Development Group consultancy in 1993 and Sustainable Energy Africa in 2001. Mark's work has been broad-ranging, from integrated energy planning for the South African government, impact assessment of electrification projects, promoting access to electricity in the SADC region, developing Botswana's energy policy, promoting the use of renewable energy and energy efficiency, sustainable building, and economic analyses of low income household energy options. Over the past decade he has increasingly been involved in developing Energy and Climate Change Strategies for cities around South Africa and Africa, and supporting the implementation of such strategies. SEA has pioneered a city-based approach to transforming a country's energy future. Mark is a partner in the award-winning Green Building - the first "future normal" green office building in Cape Town. He firmly believes that an 8-hour workday is detrimental to personal wellbeing and society, not leaving adequate space for other critically important areas of life such as personal growth, leisure, family, exercise and community participation (the essay by Bertrand Russsel 'In Praise of Idleness' is informative in this regard). It tends to keep people behaving like sheep instead of being the architects of their own lives. Mark also considers the pursuit of wealth senseless, as it has been conclusively demonstrated that (beyond enough to meet basic needs) more wealth does not improve happiness, keeps people running on a treadmill to nowhere, and fuels the enormous and indefensible disparities of wealth that exist in the country and the world.